Create a lasting impression for a lifetime with money can't buy group travel incentive trips guaranteed to get your customers and sales teams reaching for the stars! Fujitsu Imaging Rewards have won two awards at the recent IMA summit, the best Sales Incentive Programme and the Best Customer Loyalty Programme. With Power2Motivate's world leading SaaS cloud-based platform, you can quickly set-up and deploy cost-effective employee recognition, sales and channel incentives, training programs and rewards. That's the key to improving business performance with a real measurable return on investment. Proven to boost business performance. Strengthen channel partner relationships and boost your revenue with channel partner incentive programmes that work. 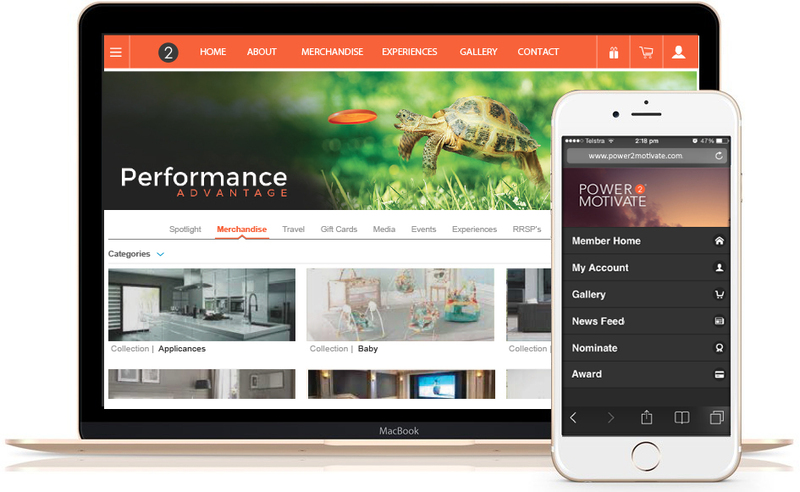 With an array of awesome features you will always be ahead of the competition with Power2Motivate. Create lasting memories and celebrate their success using Power2Motivate’s Service Award centre. You can set reminders to be emailed out to managers or sales representatives before the service date and issue certificates and points to your customers and employees to recognise their loyalty to your business. Getting old is a chore, so make it fun and celebrate (loudly or quietly) your employees or customers life milestones by using Power2Motivate’s Birthday Awards centre. Whether it is their 21st or 75th birthday, make them feel special with a system generated birthday card and the ability to never forget their birthday again. Your customers or employees will never forget your business with Power2Motivates Travel Incentive Programmes. Power2Motivate have access to a vast array of once in a lifetime experiences that create lasting memories and strengthen your relationships. From Ice Car Driving in Northern Europe to hanging out with the Whos-Who of Hollywood, we specialise in creating memories. Up-skilling and training is essential. With Power2Motivate’s Training centre you can centralise all your training material to one platform. With our SCORM compliant LMS system, you have the ability to load your training material into the platform and oversee how your customers and employees are tracking. Trusted by many of the worlds most recognised brands. 37% Increase in channel partner programme membership between FY 2015 and 2016. Some of the strongest work we did this past year came as part of our partnership with PFU Fujitsu. PFU wanted to come up with an entirely new strategy for rewarding channel partners/resellers & we played a key role in making that happen. "The levels of engagement from our partners during a promotion overload period exceeded anything we’ve done in the past and I’m looking forward to what the creative minds at Power2Motivate put together for our 2015 back to school/work period." READY TO BE A PART OF OUR SUCCESS STORY? No one wants their sales team to burn out, and the key to preventing this is to spot the signs early on. Here's what to watch out for in your sales team. Corporate Social Responsibility can include all sorts of activities - here's how you can use CSR to improve employee engagement levels at your organisation. An engaged workforce is the key to a successful business - but engagement is hard to come by in Australia these days. How can you motivate people better?